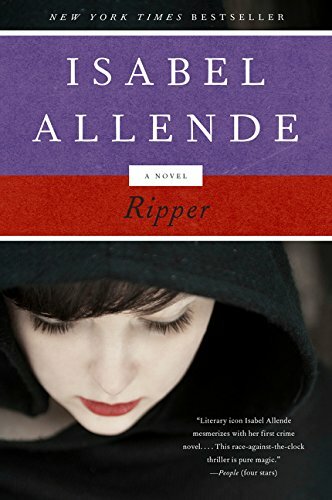 Isabel Allendeâthe New York Times bestselling author whose books, including Mayaâs Notebook, Island Beneath the Sea, and Zorro, have sold more than 57 million copies around the worldâdemonstrates her remarkable literary versatility with Ripper, an atmospheric, fast-paced mystery involving a brilliant teenage sleuth who must unmask a serial killer in San Francisco. The Jackson women, Indiana and Amanda, have always had each other. Yet, while their bond is strong, mother and daughter are as different as night and day. Indiana, a beautiful holistic healer, is a free-spirited bohemian. Long divorced from Amandaâs father, sheâs reluctant to settle down with either of the men who want herâAlan, the wealthy scion of one of San Franciscoâs elite families, and Ryan, an enigmatic, scarred former Navy SEAL. While her mom looks for the good in people, Amanda is fascinated by the dark side of human nature, like her father, the SFPDâs Deputy Chief of Homicide. Brilliant and introverted, the MIT-bound high school senior is a natural-born sleuth addicted to crime novels and Ripper, the online mystery game she plays with her beloved grandfather and friends around the world. When a string of strange murders occurs across the city, Amanda plunges into her own investigation, discovering, before the police do, that the deaths may be connected. But the case becomes all too personal when Indiana suddenly vanishes. Could her motherâs disappearance be linked to the serial killer? Now, with her motherâs life on the line, the young detective must solve the most complex mystery sheâs ever faced before itâs too late.